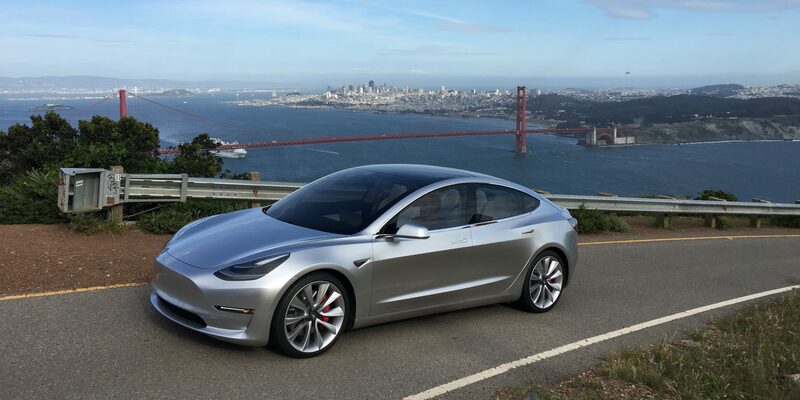 Tesla confirmed having received over 400,000 Model 3 reservations since its unveiling in March 2016, but after adjusting for a few cancellations and a bunch of pre-orders removed under suspicions that they were duplicates, the automaker updated the number last month to 373,000 Model 3 reservations. The interest is higher than Tesla or almost anyone else expected, which is why the company updated its production ramp up plans to 500,000 vehicles in 2018 (Model S, X and 3 combined) instead of in 2020, but even then, CEO Elon Musk said that someone would need to place a reservation soon in order to get a Model 3 by the end of 2018 – implying that it is virtually sold out from its expected launch in Q4 2017 to the end of 2018. Also, in the US, people hoping to reap the full benefit of the $7500 Federal tax credit will want to get theirs early because the credit drops in half once Tesla sells 200,000 cars of any type. The impact of the Model 3 is being felt in the automotive industry long before it actually hits the market in about 18 months. Since the reveal last month, GM has hinted that the range of the upcoming Bolt will be closer to Tesla’s, Ford announced that it is developing a vehicle to compete with the Model 3 and Fiat-Chrysler might even copy Tesla’s platform. 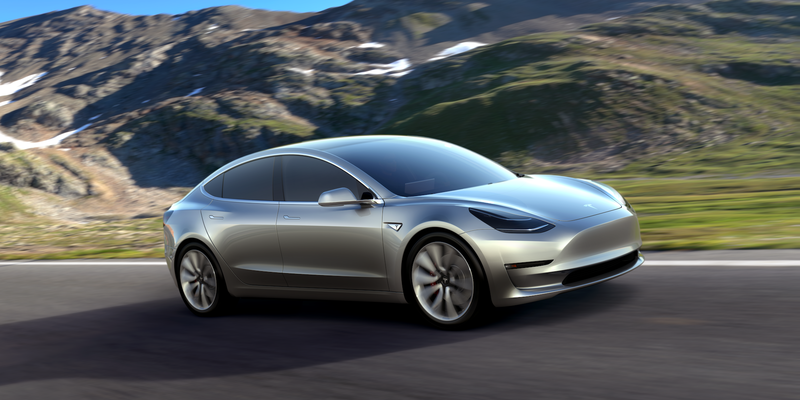 There’s no denying that the Model 3 is already having an important impact on the auto industry even 18 months before it is set to enter production. The staggering number of reservations it received is sending a clear message to the industry that there’s demand for a compelling long-range electric car in the mid-luxury market. Apparently, Nissan thinks that the LEAF fits the bill. Don’t get me wrong, the LEAF is an interesting car, but it is also the same price as the Model 3, clearly not a mid-luxury vehicle and the current version shouldn’t be considered “long-range”. Tesla confirmed having received more than 325,000 Model 3 reservations a week after opening the process to the public. The automaker claims that it corresponds to about $14 billion in implied future sales. Never one to shy away from controversial accounting, Tesla CEO Elon Musk today tweeted his take on the initial Model 3 sales numbers which are at 180K barely 24 hours into sales. By his math, which he estimates an average of $7000 in options on each Model 3 sold and more controversially, counting every Model 3 reservation as a sale, he’s come up with a $7.5 billion payday for Tesla. Clearly, everyone who put down $1000 yesterday and today isn’t going to buy a Model 3 worth an average price of $42,000. But a huge number of those people will and more importantly, many more people will try to get in early to reap the $7500 tax incentive from the US government over the coming months. Update: The reservation count is now nearing 200K and we’re likely nearing the end of the $7500 tax credit window. We were confident that Tesla’s reservation process would be fairly successful, especially in the US due to federal tax credit cap, but this morning we are blown away by the enthusiasm for a vehicle no one has seen yet.